The employer mandate under the Affordable Care Act is expected to have a significant negative impact on home care providers beginning in 2015. 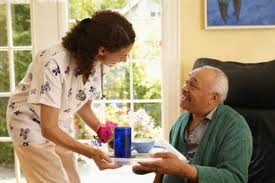 A 2013 study conducted by the National Association for Home Care & Hospice found that nearly 75% of Medicaid-oriented home care agencies do not provide health insurance to their personal care attendants/home care aides. For private pay companies, the number rises to 90%. Since 2011, NAHC has advocated for reforms that would eliminate or mitigate the impact of the employer mandate on home care. Potential remedies include an exemption of home care employers, a modification of the definition of "full-time employee," and additional funding to pay for the cost of health insurance or the employer penalty. Recently, the National Council on Medicaid Home Care, a NAHC affiliate, met with officials from the Centers for Medicare and Medicaid Services and the Internal Revenue Service to attempt to craft a Medicaid-specific remedy. The fact that Medicaid is partially funded by federal monies provides some opportunity for unique remedies that would not fit for private pay home care. The Medicaid Council was joined by a number of other stakeholder organizations at the meeting - including representatives from independent living centers, developmental disabilities community care providers, and direct care home care companies. It became quickly apparent that CMS understands that there is a significant problem facing the future of home care and other direct care providers in Medicaid. Bill Dombi, Executive Director of the Medicaid Council, explained that, "the largest "employer' of low wage workers without health insurance is Medicaid," as payment rates set by state Medicaid programs severely limit a home care provider's ability to set worker wages and benefits. Cindy Mann, director of the Center for Medicaid at CMS, expressed that CMS has previously informed states that the federal share of Medicaid costs is available to states that raise payment rates to cover ACA employer mandate costs. However, she further indicated that CMS will not order states to increase their rates. In response, the collaborative of stakeholders explained that it is recognized that CMS has limited control over state decisions, and that there are a variety of other remedies that may be available. Further, it was explained that some states may wish to use different remedies than others. Alternative remedies suggested during the meeting include an automatic enrollment of full-time workers in Medicaid, a pass-through payment for commercial insurance enrollment, reductions in administrative requirements to reduce provider costs, and exemption of Medicaid employers. These remedies were presented as examples of options, and not as a full and comprehensive list of choices. Read the full NAHC Report article.